1) Invoicing: Washington State licensed businesses will be invoiced via email following the class with a payment window of 15-30 days depending on prior mutual agreement between client and I Know CPR, Inc.
B) cash on the day of the class. C) Visa and MasterCard credit cards with a 3% finance charge added to the total fee. 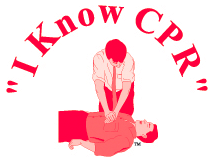 NOTE: I Know CPR, Inc. is a licensed Washington state business, we pay appropriate taxes for federal, state, L& I, Washington Employment and all local requirements. All clients are offered or automatically sent our W-9 and proof of licensing. If you are a municipality please know we are insured to cover your requirements.